My photo for today fits in with both the Straight Out of the Camera Sunday meme (because I didn't alter it in any way, other than a crop) and the Today's Flowers meme. Our flowers have mostly gone away for the year, but I think the ones that remain are still beautiful in their own way. 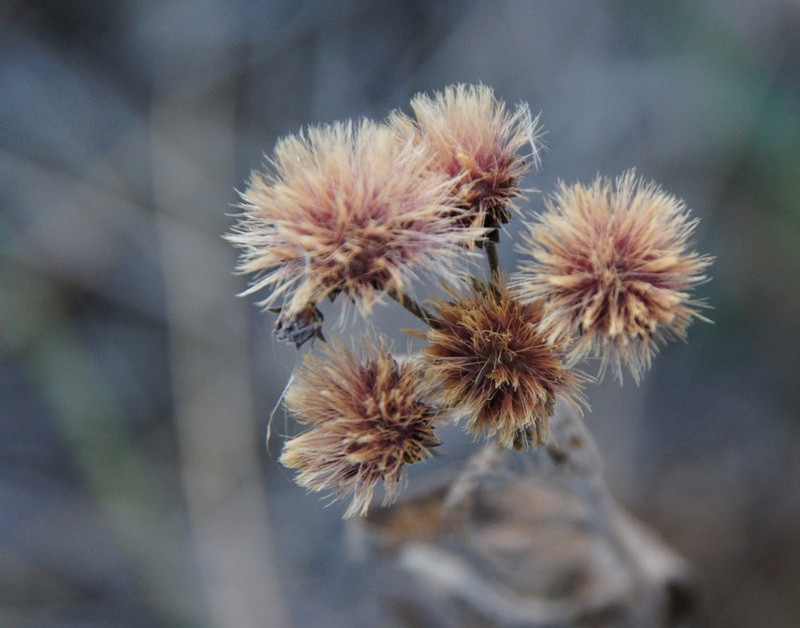 This Ironweed used to be a brilliant purple (remember Ms. Vernonia Baldwinii? ), and you know how much I love purple. However, I think it is still beautiful when it's wearing its fall colors, don't you? Yes, it's still beautiful and, when the photo is enlarged, there is more than a hint of purple there. It will look even better when there is frost on them, Misty. Have a great Sunday. I certainly do, it's just beautiful. Thanks for sharing it with us Misty, and have a great week.